Pictured: Graeme Viney from D & L Morrison on a New Holland C238 fitted with a Digga Rotary Axe. 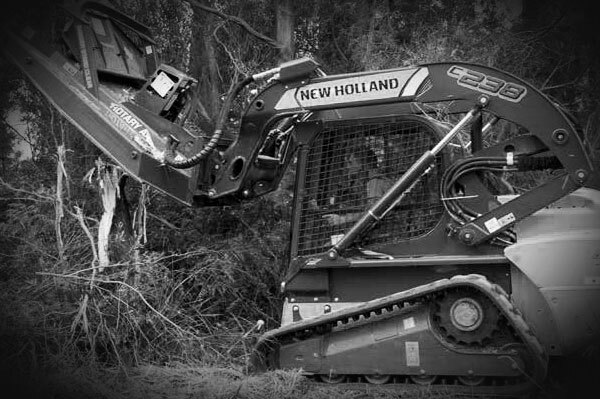 New Holland’s range of Compact Track Loaders is designed for hard work on rugged Australian jobsites, with the latest model in the 200 series, the C238, now doing its bit helping to save the native Tasmanian forest. Michael Pennell, Operations Manager of Spreyton, Tasmania-based Tas Eco Mulching has found that since purchasing his New Holland C238 Compact Track Loader over three months ago, the machine is perfectly suited for a wide range of forest and vegetation clearing tasks. In terms of operating specifications, the New Holland C238 Compact Track Loader's engine is rated at 63kW, providing an operating capacity of 14,723kg with a bucket breakout force of 38.2kN. “I appreciate the roomy and comfortable cabin - this machine gives me the confidence to take it wherever I would also take a dozer of similar size.” Said Michael. New Holland is a leading distributor of Compact Excavators, Backhoes, Track Loaders, Skid Steer Loaders and Telehandlers. Backed by a national dealer network, New Holland offers parts, service and finance for a range of earthmoving applications. For more information, contact New Holland Construction on 1300 922 828. For a PDF version of the case study, please visit the following link: Case Study - Tas Eco Mulching.